It appears as though WBC heavyweight king Deontay Wilder has his next fight, if not signed and sealed, then at least delivered. Luis Ortiz was of course to have challenged “The Bronze Bomber” in November but came up positive for an illegal substance; the results being announced to the world quite literally at the eleventh hour – but now Ortiz is back where he was a couple of months ago. 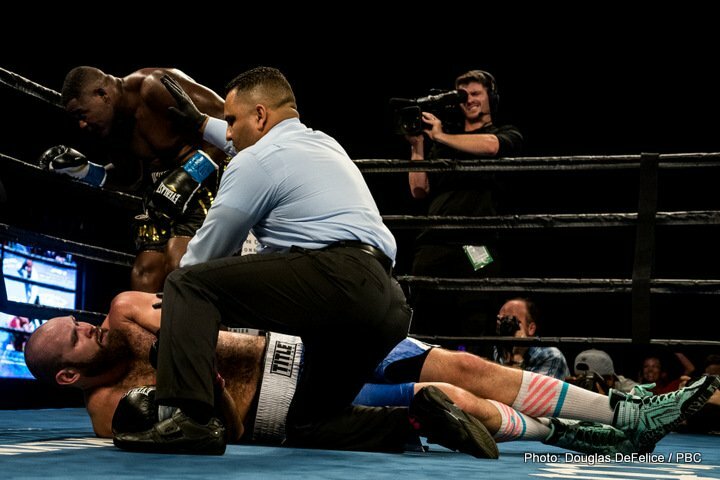 Ortiz, cleared to fight by the WBC, scored a return to action win last night in crushing over-matched Daniel Martz inside a couple of rounds, and afterwards, Wilder was on hand to call out the Cuban southpaw. Ortiz smiled as Wilder, the champion, challenged his next challenger. So, it looks as though we’re back in business with this fight. If WBC approval comes, this fight will possibly go ahead early next year some time, maybe around six months after it would have happened in the first place. The fact that Wilder has not given up of this fight, one against a dangerous opponent, when he so easily could have, must silence those critics who suggested Wilder never really wanted to fight Ortiz in the first place. Wilder wants to prove himself as the best as he says, and even though Ortiz is not recognised as the best heavyweight out there today (come to that, who is looked at as the best: Wilder? Anthony Joshua? Tyson Fury? Joseph Parker?) he is right up there. Fans who were both excited and intrigued by Wilder Vs. Ortiz and who were disappointed when the fight fell through, may well get what they want after all. Can Wilder KO Ortiz, and if he does so, how much praise does he get? Previous boxing news: Lomachenko v Rigondeaux: Keys to Victory, Four to Explore, and Official Prediction!